Adler Group has revealed conceptual plans to build an office tower and three other towers at the City of Miami's Miami Riverside Central site located at 444 SW 2nd Ave, according to Miami Today. Designed by Nichols Brosch Wurst Wolfe & Associates, the site would have 36,177 square feet of ground floor retail, 100 public parking spaces and a landscaped public riverwalk. There would also be a 8,963-square foot hotel lobby, 35,145 square feet of amenity decks on three of the buildings and 13,087 square feet of office space. 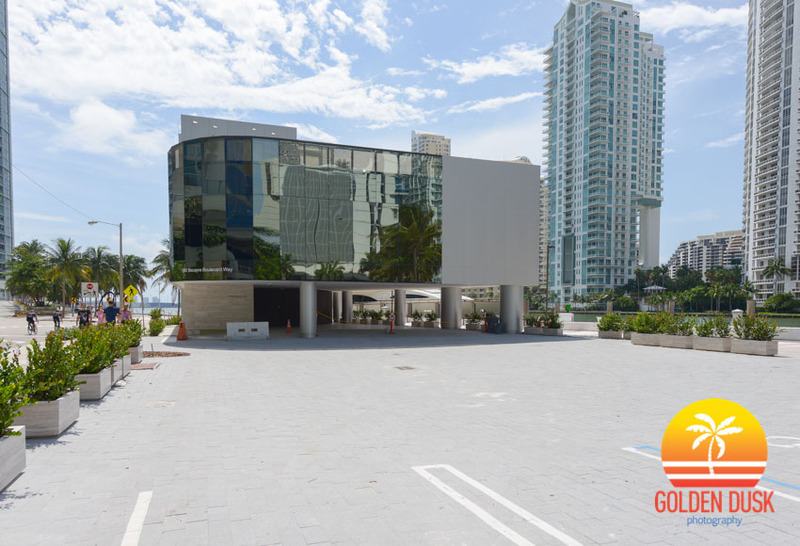 The Miami City Commission must approve a referendum for the November ballot that would would allow the City of Miami to approve a lease or sale to Adler Group in return for a new office building. 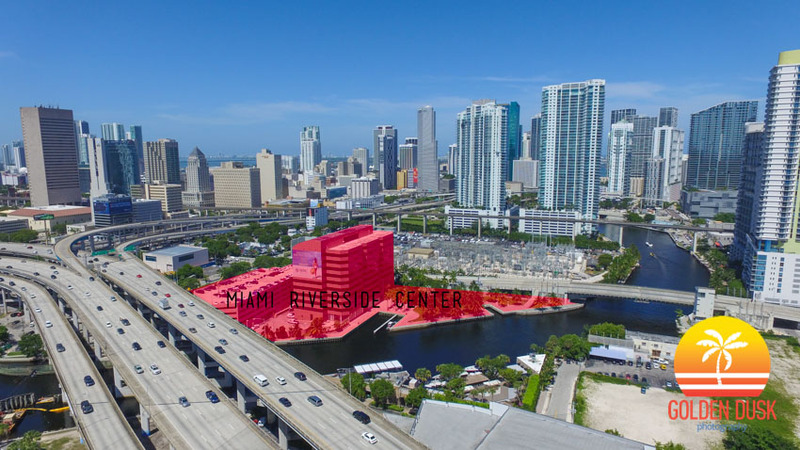 A deal to swap Miami Riverside Center, located a 444 SW 2nd Ave could go to vote in either August or November of this year, according to Miami Today. 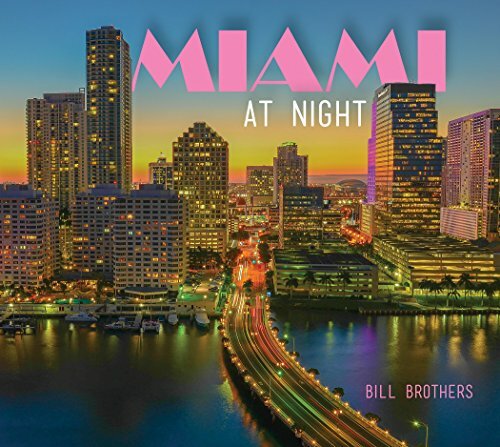 The City of Miami has outgrown the building and is looking to sell the building in return for a developer to build a new office for the City elsewhere. Miami Riverside Center was initially for sale in August 2015. In July 2016, Adler Group won a bid to replace Miami Riverside Center with Nexus Riverside Central, that would have two 36 story rental towers with 900 units, 150 hotel rooms and 20,000 square feet of retail/restaurant space. Adler Group also owns 1.6 acres of land next to Miami Riverside Center, which they purchased for $14.25 million in February 2016. The photo on the left is what Brickell Key looked like in 1985 and on the far right you can see the Miami Tower under construction. In 1975 the island was completely empty and barren after developing from dredging of the Miami River. By 1985 one condo had been built on Brickell Key and the Brickell skyline was becoming lined with condos. By 1999, the island had grown even more with more condos, but the Mandarin Oriental was not built yet. The photo on the top right is what Brickell Key and Downtown Miami look like today. Brickell Key is almost fully developed and the Brickell skyline is no longer visible except for the Four Seasons and Icon Brickell. 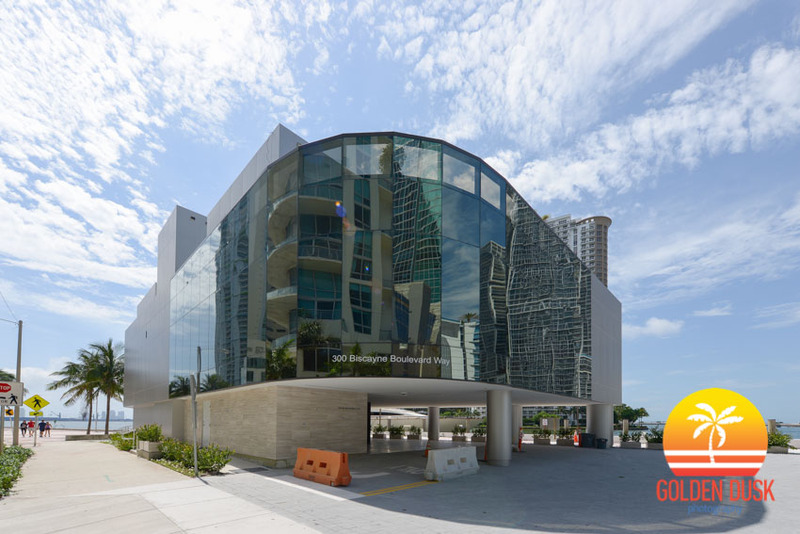 The Aston Martin Residences sales center is nearly complete at 300 Biscayne Boulevard Way in Downtown Miami located along the Miami River. The sales center should be opening next month and they have already received a $2.3 million Vulcan that will be displayed in the building. The 66 story condo is requesting FAA approval to build 820 feet above ground. 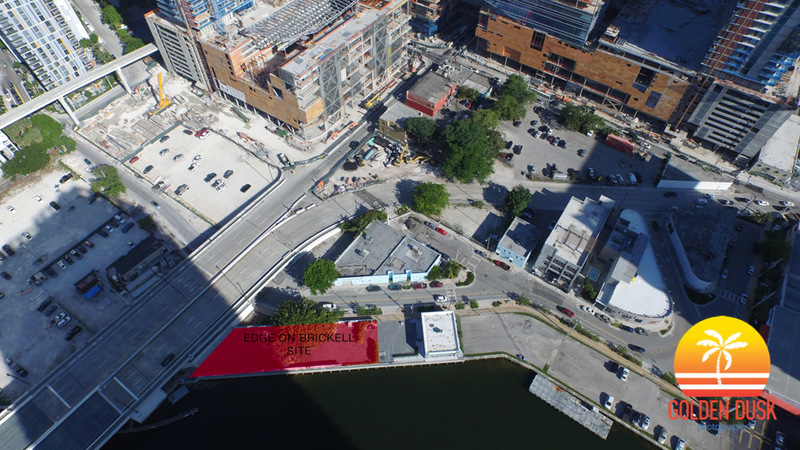 The Edge on Brickell, designed by architect Kobi Karp, is seeking approval for a taller building on their site located on the edge of the Miami River, according to The Next Miami. The 13,797 square foot lot was purchased for $18.3 million in July 2015. The new request would see the tower rise taller to 631 feet and 58 stories from the original 55 stories and 606 feet. A vacant sales center has been on the sitting on the site for over two years from the original developer. After purchasing the 1.25 acre land along the Miami River next to the Epic Hotel for $125 million in 2014, the Coto Family of Argentina revealed the new luxury condominium will be named Aston Martin Residences, according to The Miami Herald. 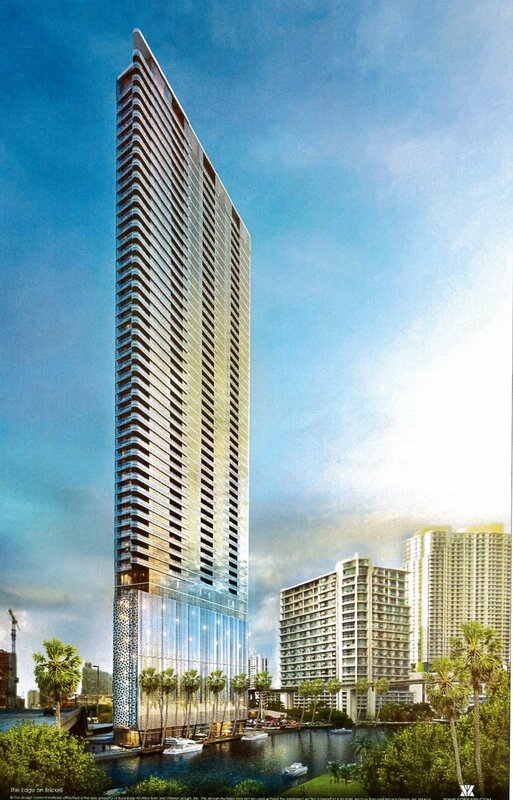 The 66 story tower will be built near the entrance of the Miami River and have 390 residential units. There will be two private lobbies, a two story fitness center, an infinity pool on the 55th floor and a yacht marina. The tower was designed by Revuelta Architects and Bodas Miani Anger. Sales will launch in March, after the renovation of the on site sales center and groundbreaking to start in the Summer of 2017. Construction is expected to be completed by 2021. As part of construction, a 24 foot wide riverwalk will added to connect along the Miami River. Photos of the sales center can be viewed below.